The Pokies » Blog Archive » What’s the big attraction in pokies? What’s the big attraction in pokies? When you think about what games you can play at an online casino there are some that seem like they’re off-limits to the uninitiated. Someone who’s never played casino games like roulette, baccarat or poker could be forgiven for not knowing where to start. 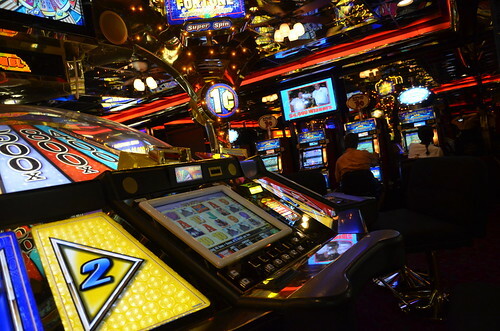 But with pokies, otherwise known as slots, part of the attraction is the fact that anyone can play. Of course, the other games are actually fairly self-explanatory, and playing online you have the advantage of being able to refer to the rules or the help section whenever you need to. But slots are so simple to play that you can be playing within minutes of signing up to a site. This is probably the main reason that online slots are so popular and that more and more new games are appearing on sites on almost a daily basis. The best online casino in my eyes is the one that offers the most variety in choice of games. The most important thing about slots is that they should be entertaining. When you’re playing, it’s totally random whether you are going to land the right combination of symbols or not, so a win could come at any time. But while you’re paying to play, you should be getting some entertainment along the way! All slots games are exciting to play as you never know what symbols are going to show on the reels when they come to a stop but some machines are more exciting than others. For example, if you play the multiline slots, it can be really exciting watching all the lines come to a halt and hearing the bells and whistles going off as various wins are tallied across the lines. It depends on what kind of playing experience you’re after. You can choose from a whole range of styles of slots – from traditional fruit machines with 3 reels and 3 lines through to branded slots which feature characters, games and TV game shows that people are familiar with all over the world. For example the Lord of the Rings, X-men and Iron Man are all really popular online slots. You’ll also find game show slots like Deal or No Deal and Monopoly. But for some people it’s the simplicity of three reel slots which is most appealing – where you don’t feel you have to struggle to see the results, which is sometimes the case on the multi-line slots where there’s so much going on at once. Another thing to consider is what kind of jackpot you’re playing for. You might want to go for a progressive jackpot win, where the prizes can reach incredible amounts. If you do play on the progressives, be aware that there’s usually an eligibility requirement to qualify for the progressive jackpot. This usually means that you need to bet max on each spin. Bet max is putting the maximum number of coins and the maximum number of lines per spin. Whatever you’re looking for in a slots game, you’ll find that most of the casino websites offer a great selection. But it is worth spending a bit of time looking at the return to player ratios, the jackpots on offer and the range of choice in games before deciding which casino site to join.